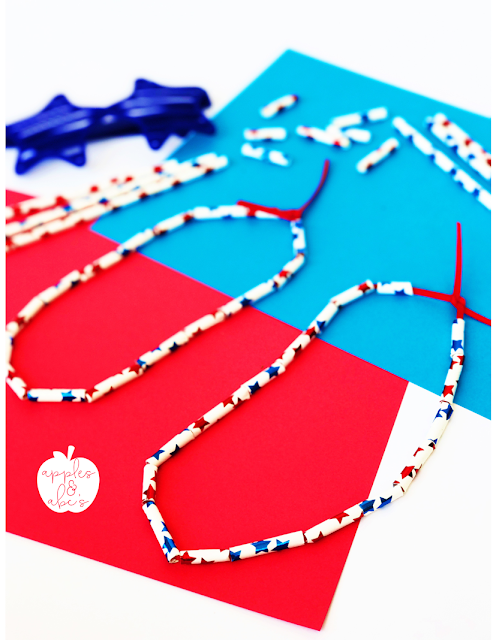 A 4th of July BBQ is a great time to have a simple craft for the little ones. It can be a long day of playing, eating, and celebrating, so it's always good to have some activity available if the kids get antsy before fireworks. I came across these star paper straws at the dollar store and knew they would be perfect to turn into a necklace. 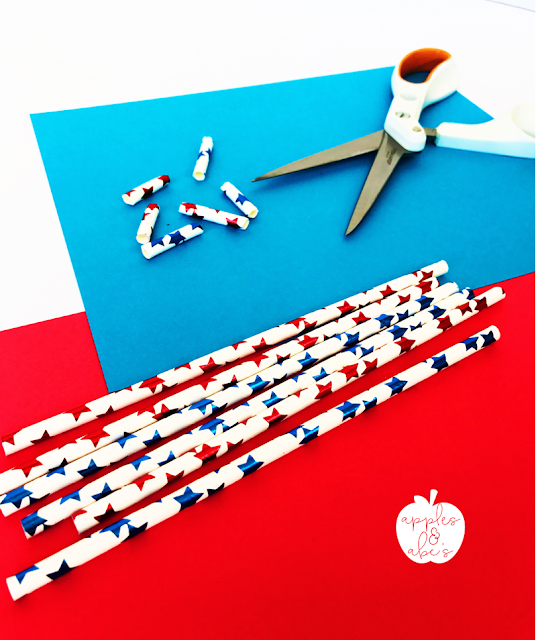 Before the party I cut all of the straws into little pieces (about an inch) so the kids will easily be able to string them onto the ribbon. I decided to use ribbon instead of yarn because the straw hole isn't that big. I cut the ribbon ahead of time as well, and created an anchor at the end by tying a knot so the beads won't slip off as they are stringing them onto the ribbon. 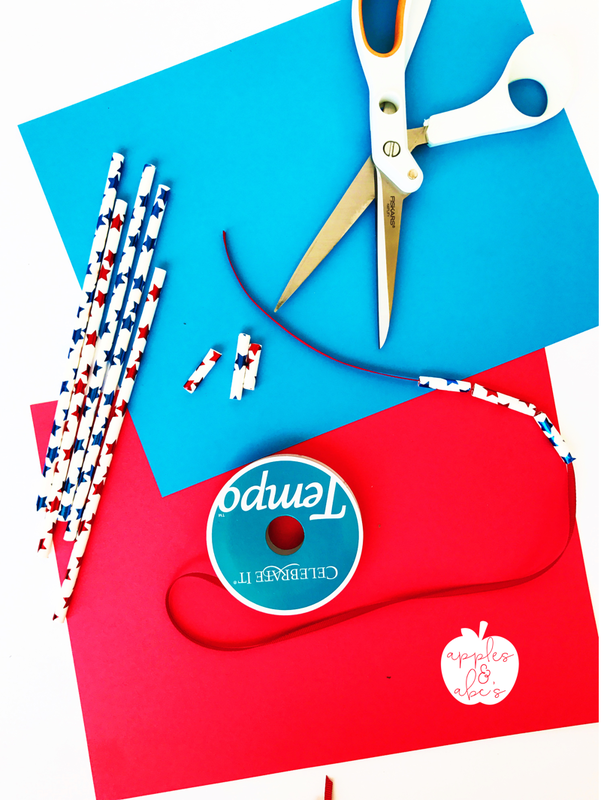 One more thing on the to do list is to make a baggie for each kid that will contain their ribbon and enough straws for them to string to create a necklace! 4th of July is kind of a big deal in our house because it's Hercules' birthday!